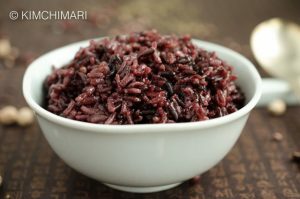 Korean Purple Rice usually refers to Korean rice that is cooked with black rice which gives it the pretty purple color. 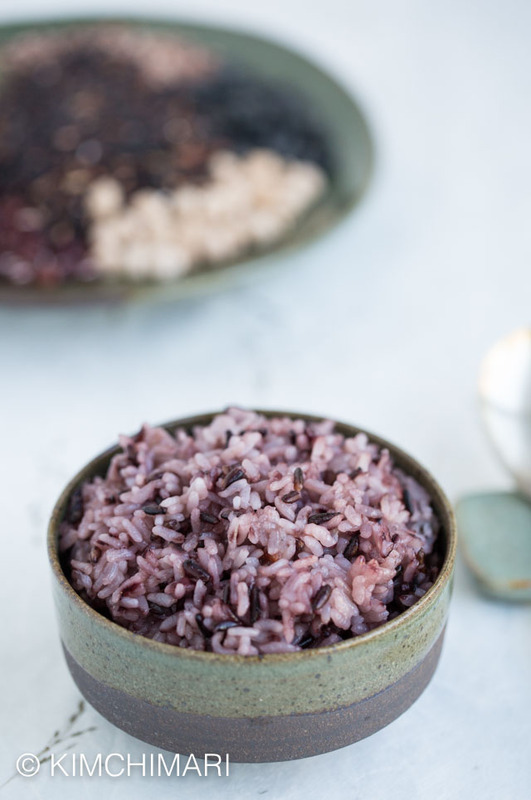 Besides giving the rice this beautiful purple hue, black rice adds extra nutty flavor and has great health benefits. 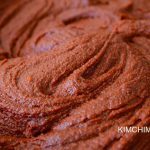 What is Korean purple rice? 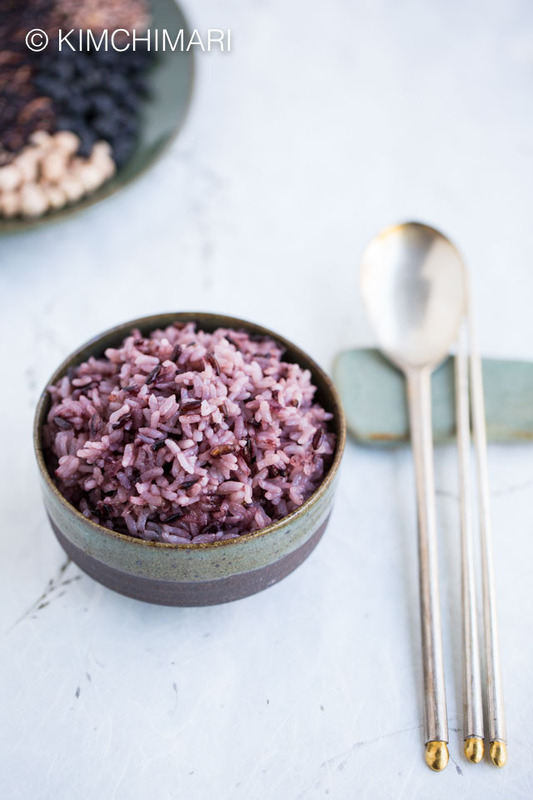 Korean purple rice is when black rice (aka forbidden rice) is cooked with white rice which then results in a purple color overall and thus called “purple rice” by many. It is actually not a direct translation but is something that just caught on with people. NOTE – people may also confuse purple rice with what Koreans call Japgokbap (잡곡밥) which is multi-grain rice. This rice also has similar purple color but includes not just the black rice but other grains and beans like red and black beans, sorghum, garbanzo beans and millet. 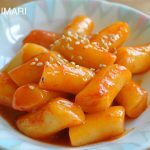 What is purple rice called in Korean? Korean purple rice is called Heukmi bap 흑미밥 in Korean, which literally means Black Rice Rice. Heukmi = Black Rice and Bap = Rice so.. it actually had rice 2 times in the word..hahaha. Is black rice, forbidden rice and purple rice all the same? Basically yes. Black rice was so rare in old Asian cultures but sought after for its health benefits that it was actually called ‘forbidden rice’ because it was only available for the Chinese emperor to ensure his health and longevity and was forbidden for everyone else. 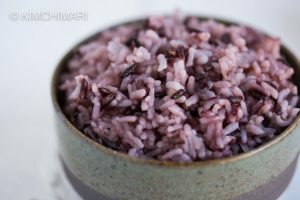 Purple rice is sometimes used to refer to black rice but mostly it specifically refers to white + black rice. 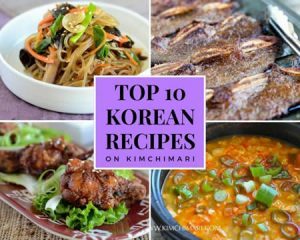 In Korean cuisine, we mainly use two types that are used to make purple rice. The first one is Chal-heukmi 찰흑미 which is Black Sweet Rice or Black Glutinous Rice which has a very slight sweet and nutty flavor. The second is just regular Heukmi 흑미 which is not glutinous and thus lack the sweetness and the sticky texture. 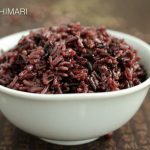 Is purple rice or black rice really healthy for you? YES. 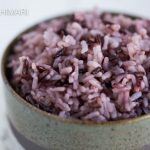 Purple rice is healthy for you and is certainly better than just having white rice. The black rice that you see may seem black but in fact, it’s a very deep dark purple. And this purple color comes from the very powerful antioxidant anthocyanin which is the same antioxidant responsible for the color of blueberries, acaí berries, egg plant, purple potatoes, concord grapes and so on. Black or purple rice has a low GI (Glycemic Index) of 42.3, contains “3 times as much fibre as white rice and is packed with 8 essential vitamins and nutrients like zinc and riboflavin.” (michelin guide). FYI, white rice has GI of 73 and brown rice has 68 according to Harvard Med. School. However, the amount of health benefit also depends on how much of the black rice you mix in. Many restaurants and commercial cooked instant rice (햇반 Haetban) only contain a very small amount, so the benefit may not be as great compared to rice you cook at home. Use glutinous black rice or wild sweet black rice for a slight sweet flavor and chewy texture. 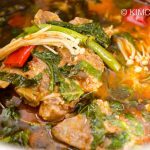 Use a pressure cooker or pressurized rice cooker to avoid having to soak the rice. But if using a regular rice cooker, soak black rice for 30 min. Adjust amount of black rice to taste. 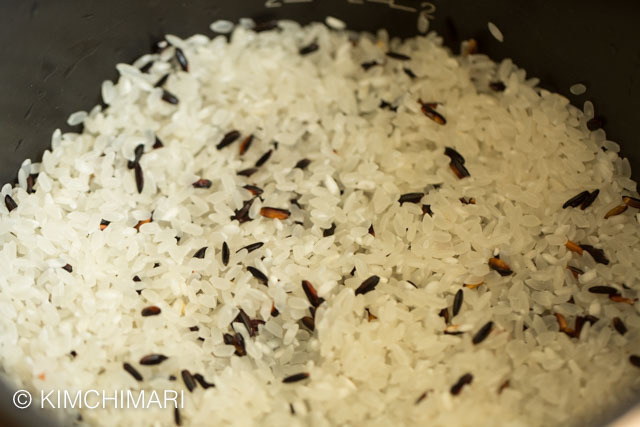 For softer and gentler rice and lighter purpler color, add less black rice. For more health benefit and more chewy rice, add more black rice. Here are pictures of purple rice with 1 Tbs of black rice and the next one with 1/4 cup of black rice. FREEZE leftovers and reheat in microwave for 1 – 2 min. and it’s better than Haetban! In the pot, measure and add white rice and black rice. Rinse rice by adding water until rice is totally immersed and there’s extra water on top. Wash rice well with your hands as if needing a dough. Slowly drain rice water out while leaving the rice in the pot. Repeat at least 1 -2 more times. ** Re-use rice water if you want. Read my 7 uses for rice water for more info. Add same amount of fresh water (1:1 water to rice ration) into the pot. set rice cooker to regular rice cooking time. It was 45 min. on my Cuchen rice cooker. add same amount of water as the rice. e.g. If total of black and white rice is 2 cups, then add 2 cups water. set IP to manual HIGH to 9 minutes when using just Let it natural release for at least 5 min to 10 min. Then manually release. You can just let it naturally release but it kind of takes a long time.. When rice is cooked, fluff rice with rice spatula (주걱 jugeok) to prevent it from caking. 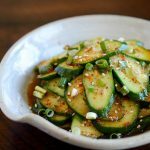 This rice goes well with any Korean meal so make it anytime. P.S. Let’s stay connected. FOLLOW ME on FACEBOOK, PINTEREST, and INSTAGRAM. 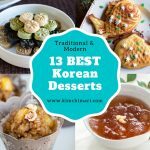 You can also join my FACEBOOK GROUP where we share everything about Korean food, including cooking tips, with other Korean food enthusiasts just like you! Rinse rice by adding water until rice is totally immersed and there's extra water on top. Wash rice well with your hands as if needing a dough. Slowly drain rice water out without spilling the rice out. Repeat at least 1 -2 more times. With all the excess water drained and discarded, add fresh water into the pot. fill water to regular rice water line. Rule of thumb in cooking rice is 1:1 rice to water ratio. Set IP to manual HIGH to 9 minutes. Let it natural release for at least 5 min. then you can manually release. If you add more black rice, increase the cooking time. But if using a regular rice cooker (not a pressure cooker), soak black rice for 30 min before cooking. Adjust amount of black rice to taste. 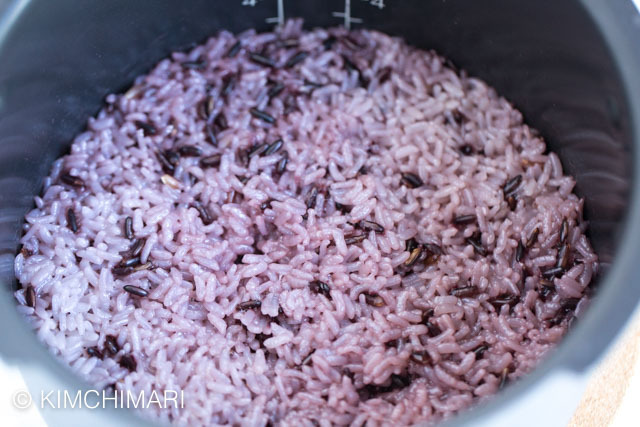 For softer and gentler rice and lighter purpler color, add less black rice. For more health benefit and more chewy rice, add more black rice. FREEZE leftovers and reheat in microwave for 1 - 2 min. 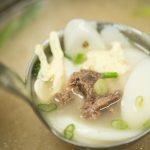 and it's better than Haetban! 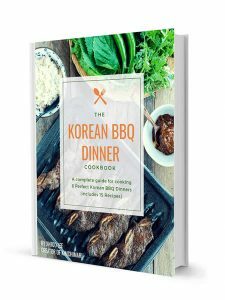 Do you have any idea where to buy korean purple/ black sticky rice? Hi! 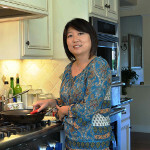 Do you just use plain old white rice or like a jasmine style rice? I’ve eaten this a few at Korean restaurants but for the life of me I can’t remember if it had a jasmine rice flavor to it. 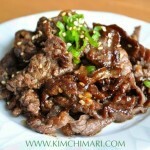 I want to make this with bibimbap tonight, so your help would be greatly appreciated! Thanks! Sorry for the late reply. We use plain short grain rice for all Korean cooking. Jasmine rice is long grain rice and long grain rice is never used in Korean food. Hope this helps! Thank you. Thank you so much for posting this. My 9 year old son tried this rice at a friends’ house and loved it! This is all he ate. He’s been asking for it but I’ve sort of been intimidated about how to make it–proportions, what kind of rice to buy etc. I asked my mom, but she just kind of tells me “you know, a little bit of this and that….” typical Korean Mom answer…LOL. As usual, your recipes always clarify whatever gets lost in translation. Oh I am so glad! You are 9 year old has a good healthy taste and I am very happy to hear that my recipe has clarified things for you. I totally know what typical Korean Moms answer is!! And it always starts with – “Oh, it’s very easy! Just do this..” haha I will be posting Japgokbap soon so hopefully you can make use of that too. Thank you so much for leaving me a lovely comment.